My first hummingbird friend visited this Saturday!!! I'd been prepared for their visit for a couple of weeks, making new feeding solution in between to keep it fresh. 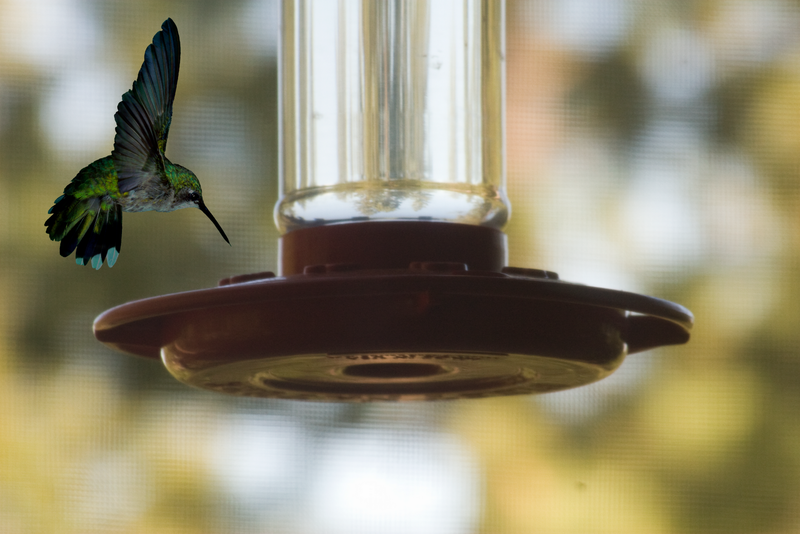 We were on hummingbird watch and I was beginning to wonder if they had decided to stay south this year. Our first little friend is very small, but he has the feeder to himself for now so hopefully he'll fatten up. I'm certainly not flying around. My visit to the doctor resulted in a calf strain diagnosis probably brought on my too much too soon and improper foot support. Apparently my foot wiggles too much. They made casts of my feet and are making support inserts for my running shoes. I tried walking a couple of miles this week-end, but that proved too much. I was in quite a bit of pain today when I tried walking again. Back to square one. When the doctor said three weeks rest I guess he meant walking too. We're excited about the upcoming birthday celebration. The route and clues are all set. Decorations, food, and prizes are all planned. Kate comes in Thursday night. I'm so excited to have her here!!! Norm's family are all coming in on Friday. We're looking forward to seeing all of them also. Jeff's taking the GMAT that day and up to his ears in work in Pittsburg but will be with us in spirit. A picture to leave you with: I made this dinner Saturday. 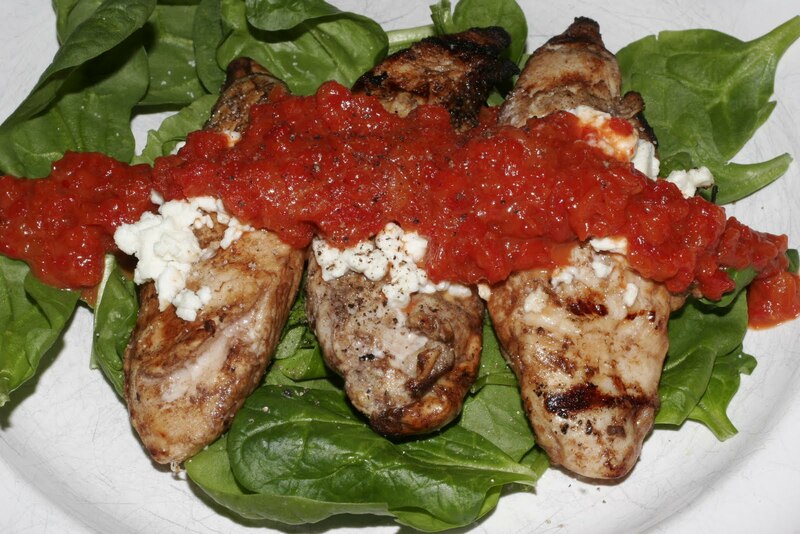 It was marinated grilled chicken with a little feta cheese on top, served on top of fresh spinach with a red bell pepper sauce I made from scratch. It was easy to make, very nutritious, and tasted wonderful. So sorry to hear that you are still not up to running. I hope this dang injury will heal itself pronto.